Ahh! Bread pudding. One of my favorite comfort desserts because it has that special fall flavor that you get from the cinnamon, the egg custard and the delicious bread. Not only that, but it’s another super easy recipe that you can make at home, especially with all of that leftover bread that you may end up with from time to time. The best type of bread I love to use for this recipe is brioche because it is slightly sweet and it absorbs the custard really well. I have also made it with challah, a delicious Jewish bread, as well as French bread. But if plain white bread is all you have, go for it, it will still come out delicious. 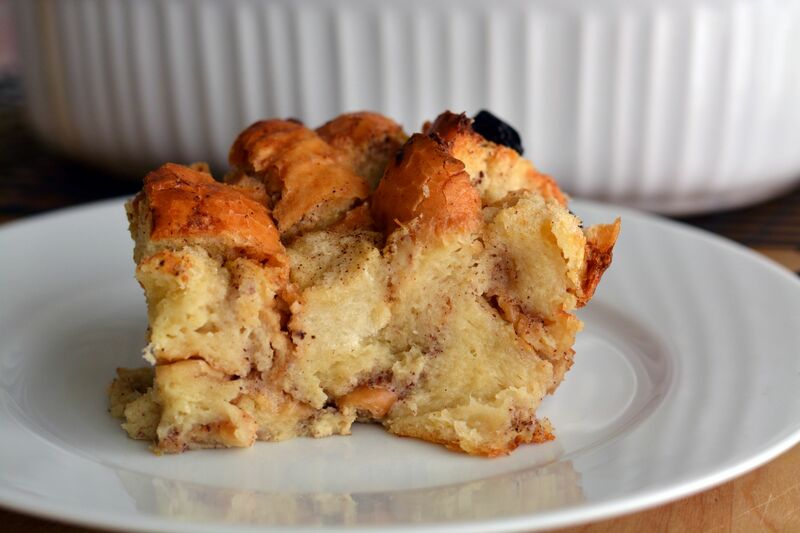 Also, try using whole milk whenever you’re making bread pudding because you really need that extra amount of fat for it to come out awesome. And if you want to make it even more delicious, you could also substitute half of the amount of milk for heavy cream or half and half. You will see that it will come out even more amazing. Grease with butter an 8 x 8 inch (20 x 20 cm) baking dish. Break the bread into 2 inch (5 cm) cubes and place them in the baking dish. Then drizzle with the melted butter and sprinkle with the raisins. Set it aside. Beat the eggs in a medium bowl, add the brown sugar, white sugar, vanilla extract, cinnamon, nutmeg and salt and mix well. Add the milk and whisk again. Pour the custard over the pieces of bread and let it stand for about 30-60 minutes (the longer, the better) so it can absorb the custard well. Bake for 45-55 minutes or until a toothpick inserted in the middle comes out clean. If you notice that the top is starting to get dark, you can loosely cover it with aluminum foil. 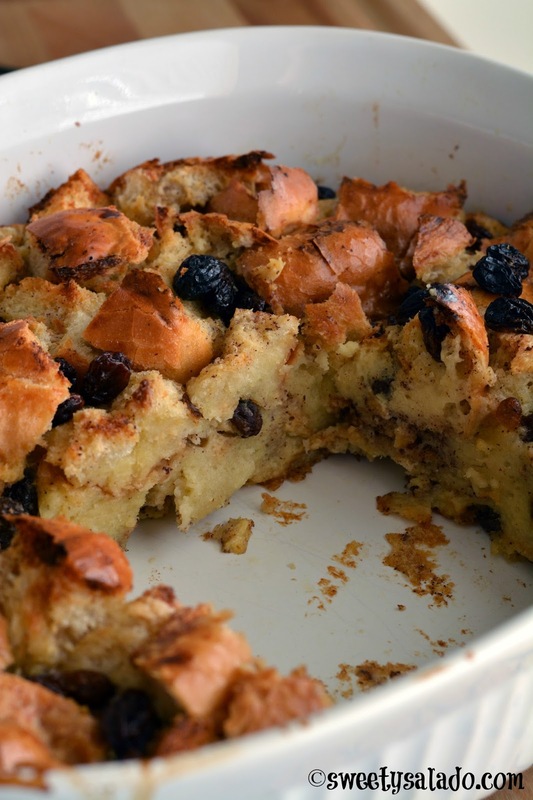 Take the bread pudding out of the oven and let it cool for at least 10 minutes before serving.